Late last month, production on Disney and Lucasfilm’s Han Solo spinoff ground to a halt after the abrupt firing of erstwhile directors Phil Lord and Chris Miller. It’s an announcement that not only sent shockwaves through the Star Wars community, but also the industry itself, and the entire ordeal had echoes of those scathing rumors that plagued Rogue One: A Star Wars Story mid-way through filming. Bringing an end to the drama almost as quickly as it began, Disney then appointed the Oscar-winning Ron Howard in place of Lord and Miller, and filming has now resumed ahead of the movie’s expected release in May of 2018. Providing Disney and Howard can make that initial deadline, of course. 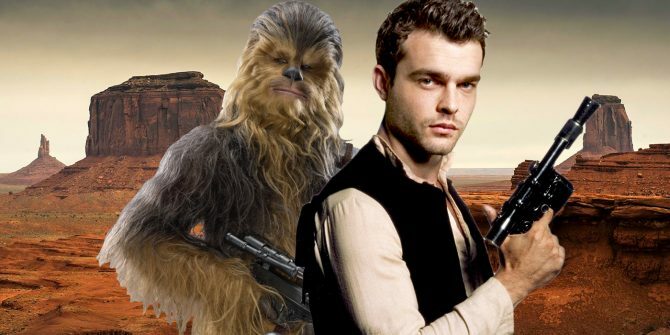 With nary a mention of the film codenamed Solo at D23 this past weekend, it’s clear that all involved have their nose to the grindstone, so don’t expect to see any official footage of the Han Solo origin story for another few months at least. But that doesn’t necessarily mean that fans will have to endure a lengthy radio silence, as director Ron Howard has now taken to Twitter (via Coming Soon) to share the latest photo from the set. 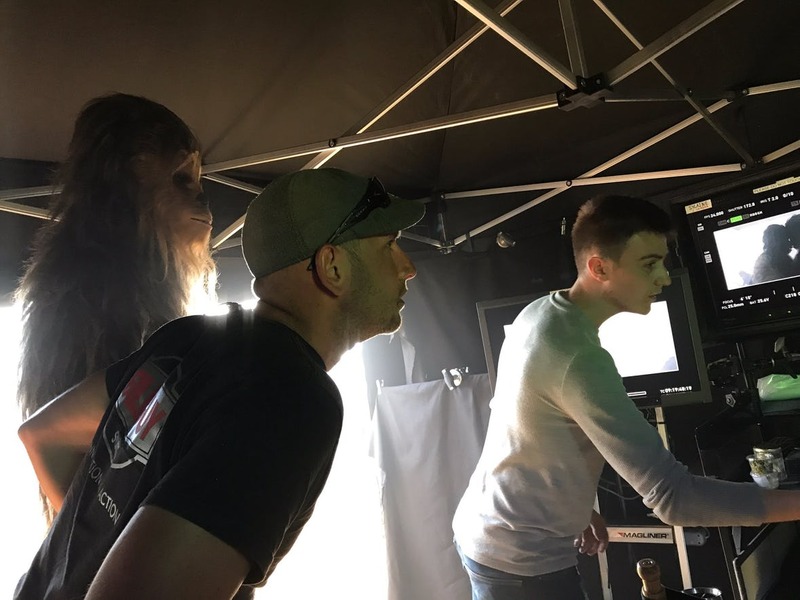 Embedded above, you’ll see Joonas Suotamo’s Chewbacca gazing upon a monitor, one that appears to show a scene of two Wookiees embracing amidst an intense battle. Placing one furry forehead onto another, it’s a shot that evokes comparisons to Fox’s rebooted Apes franchise, wherein Caesar and his simian tribe exchange pleasantries through sign language and other bodily gestures. Once Star Wars: The Last Jedi has its time in the sun this December, all eyes will begin to turn toward Ron Howard’s anthology film in the hope of a compelling, entertaining Han Solo origin story. We’ll find out whether that is indeed the case on May 25th, 2018.